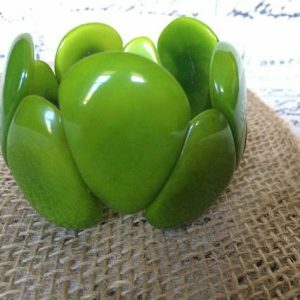 This unique bracelet has a beautiful color, it’s very versatile and you can pair it with any kind of outfit. 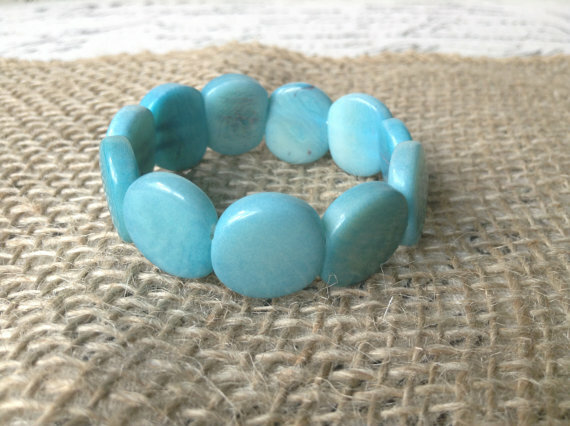 Lightweight yet very resistant, it comes on and off adjusting to most girls size wrists. 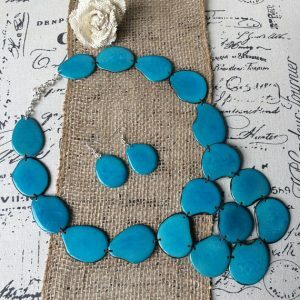 Being dyed with only organic ingredients, it’s safe for even the most sensitive skin. 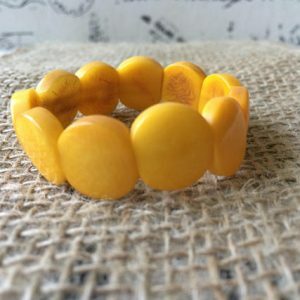 Its beads come from Tagua Nut, a seed that grows in the northern area of South America, where local artisans harvest it, carve it by hand, dye it with natural ingredients only, to bring to you this eco friendly gem! 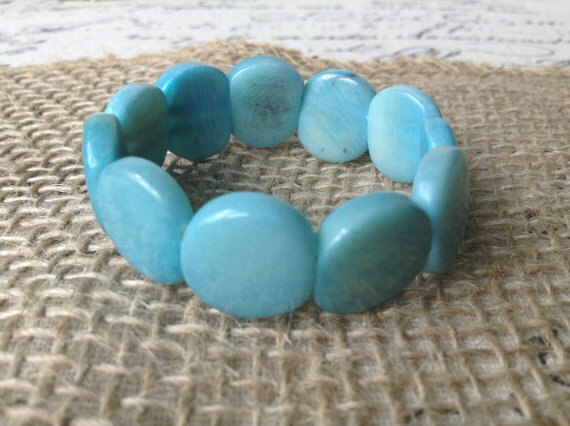 Tagua is also known as Vegetable Ivory, because of its similarity with animal Ivory, just as resistant and beautiful! 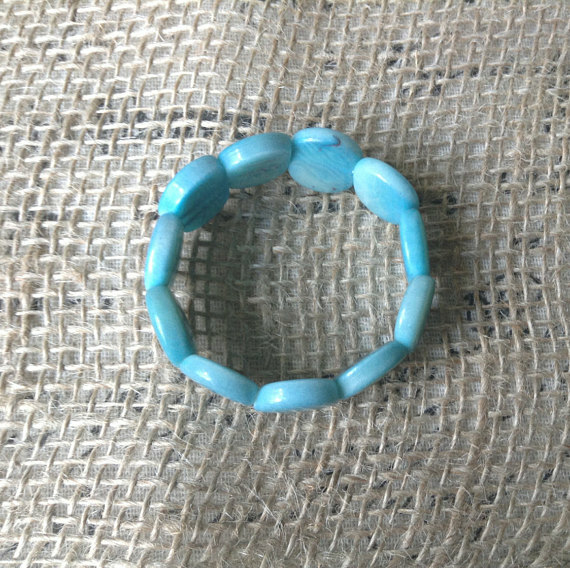 This bracelet has 11 shiny beads have been strung with two rows of strong jewelry elastic. 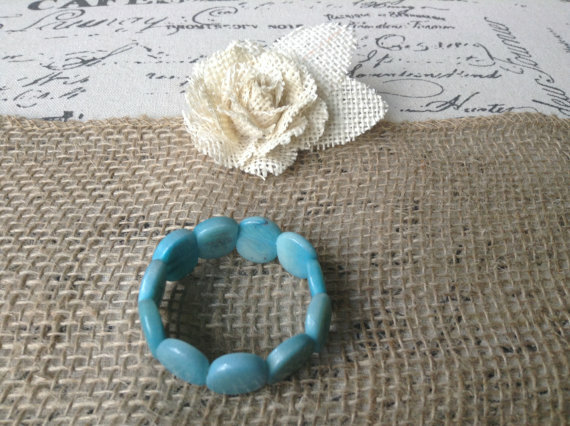 All our jewelry has been handmade in Ecuador, by local artisans, using organic materials.